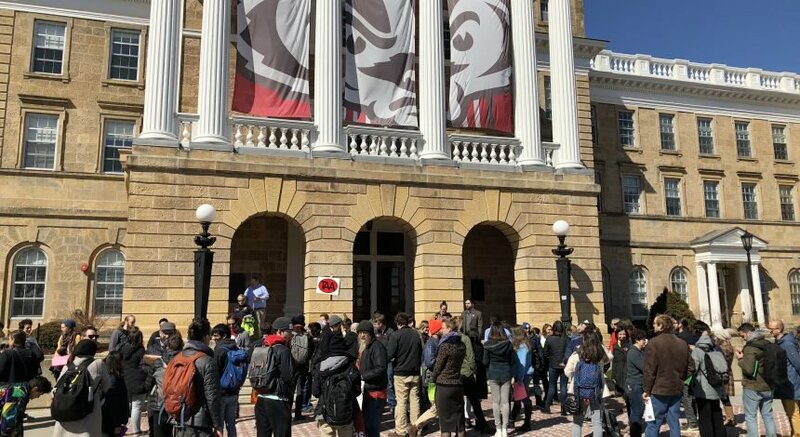 As of fall 2018, 575 students attending the University of Wisconsin identify as Native American, according to the Office of the Registrar enrollment reports. Those students range from undergraduates to graduate and professional students enrolled in a variety of majors and programs. 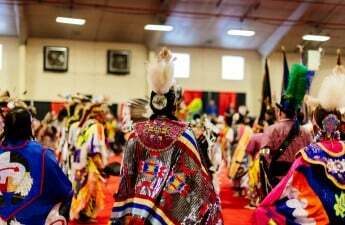 There are a variety of student organizations for Native students, and the American Indian Studies department was established in 1972 to “coor­di­nate the devel­op­ment of Native Amer­i­can Stud­ies courses and recruit­ment of Amer­i­can Indian fac­ulty,” according to the AIS website. 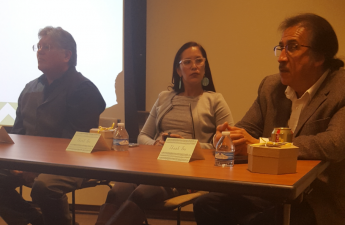 Despite the apparent efforts by the university to support Native students and faculty on campus, many students still report difficulties navigating a predominately white campus, UW law professor Richard Monette said. Monette teaches Native American law courses at UW and works as the director of the Great Lakes Indian Law Center. He works with both Native American students on campus and Native people off campus, offering both legal assistance and other types of support to tribes and organizations across Wisconsin. Several factors, he said, can make the transition difficult for Native students, from small-scale things like differences in food or language, to larger, abstract issues. “It’s difficult for them to come from a place where they have learned a different worldview — granted still in a difficult context — but to come here and not find that worldview, not find that worldview being welcomed or understood is very difficult,” Monette said. Monette discussed some of UW’s attempts at easing the transition, though he said that resources and support networks for students are almost all student directed and led. He cited the Amer­i­can Indian Stu­dent and Cul­tural Cen­ter, which is an off campus facility housing several student groups and other resources. It provides a safe space for students to connect with their culture in ways that they may not be able to do in the dorms — for instance, smudging or drumming. In 2016, students were shouting and ridiculing Native American students a fire circle at Dejope Hall, Monette said. AISCC provides a space separate from the often-negative campus climate. But Monette also mentioned that because the AISCC is in the path of a university construction project, they will have to vacate it. This, along with little things — like the libraries categorizing Native books as “history” and invalidating the current experiences of students on campus — only exacerbate the difficult transition. For some Native students, the difficulty can mount into mental health problems, or worsen already existent mental health conditions. That was the case for Isabel Denning. A member of the Oneida Nation and a sophomore at UW in 2016, Isabel Denning committed suicide after mounting trauma, financial difficulties and her mental health conditions became too much to handle. Isabel Denning’s father, Mark Denning, said she had sought treatment with University Health Services after her older brother had committed suicide and she’d experienced multiple sexual assaults. She’d dealt with bipolar disorder and anxiety as well. But cultural differences and miscommunication had led UHS to drop her. Denning said that after visiting several different professionals and hospitals, she became an “unreliable narrator” to her own condition, unable to find the right resources. Isabel Denning’s boyfriend at the time she’d committed suicide, Andrew Gray, said part of her difficulty adjusting to campus came from her peers’ inability to understand her identity as a native person. People would ask her questions like “what are you?” referring to her ethnic or cultural identity without realizing the harmful connotation. Gray said asking a multicultural person that question forces them to package themselves into something simplified, while also invalidating their existence as multiethnic. While perhaps something small, remarks like those only reminded Denning that she didn’t look like the other — mostly white — students on campus, Gray said. Gray suggested that UW could help, perhaps with a course in cultural literacy as part of orientation, but he also said that one of the best ways non-native students could support their native peers is to open lines of communication with them. Denning also said that one of the biggest issues UW had was “overmatched” advisors. Not only does each advisor have tons of students to support, but not every one has the cultural sensitivity that would help them to support their native students in productive ways. In the end, Monette said that the biggest issue with the campus is the climate. Right now, it trends negatively for native students. The only way to help native students transition safely to UW is to create a positive campus climate. And that’s not just a job for the administration, but also for the students, Monette said. 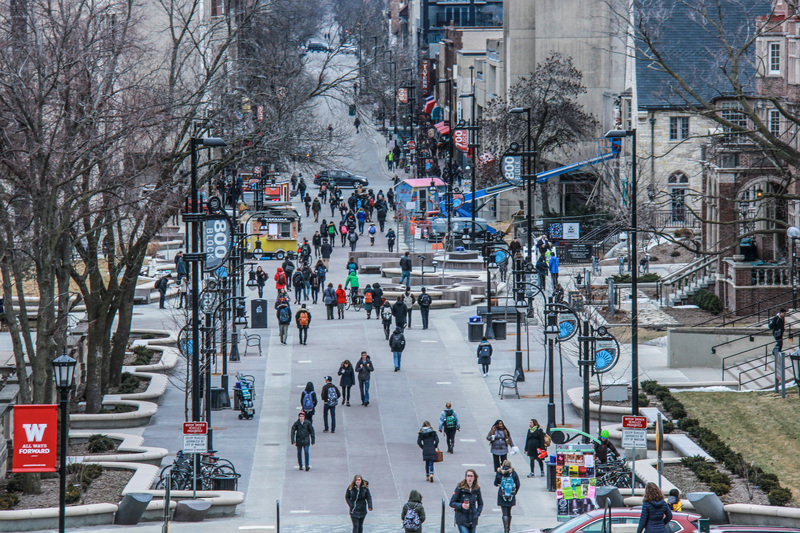 “What is and will be productive is to build a positive campus climate, and we don’t have that yet,” Monette said. For students experiencing mental health difficulties and/or crises, there are support networks available. The following are crisis hotlines, though their websites can help connect people with other forms of support.